This is relevant if you want to control how authorized users access your cloud apps, including Printix. 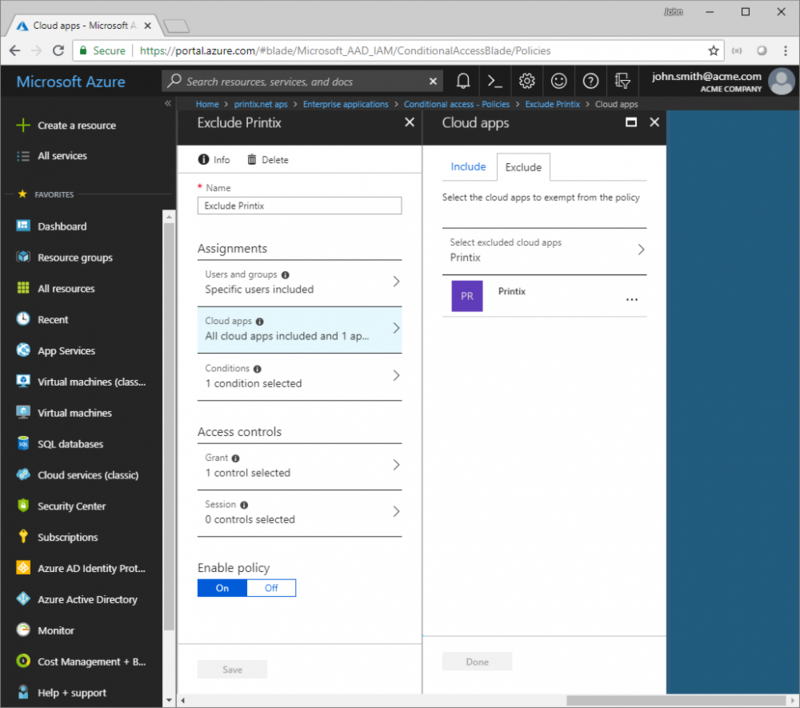 On the Enterprise applications blade, select Conditional access. Select the name of the policy (Example: Exclude Printix). Under Access Controls select Grant. Select the controls to be enforced. Select Select. Under Assignments select Cloud apps. Select Select excluded cloud apps. Select Printix and select Select. *To be listed as a cloud app, Printix must be Accepted for all users.